Since it's Weight Loss Wednesday here in the blogging world, today's post is going to be all about my diet, which I mentioned a few days ago. I don't know if any of you will be interested in this kind of thing, but it's a really important part of my life at the moment, so I wanted to share it. Before Christmas, if you put any food within arm's reach of me I would eat it. For example, I ate the contents of an entire giant Lindt ball as a "snack" after a four course Christmas Lunch. I was a human eating machine during the holidays, and I allowed myself to go completely over the top because I had had this powerful mental shift in December into pre-diet mode. I chose the 27th December 2013 as the first day of my new relationship with food: AKA New Diet Day. Obviously this wasn't the cleverest date to embark on a diet. Christmas chocolates, New Years Eve, meals out with friends and all of the other lovely things that happen over the holidays were like massive obstacles to a new eating plan. But I really wanted to start before the New Year, to avoid it becoming just another resolution that would fall by the wayside. Contrary to the advise of most diet books (don't start a diet when you know there'll be significant challenges, or when there are a lot of Terry's Chocolate Oranges left in the house) I plowed on, and I'm very happy to say that I've already lost a stone/14lb/6.5kg in January. Hooray! So I have tried and failed to lose weight on just about every diet that has ever been invented. With the exception of 5:2, which I refuse to try since it is retarded and basically self-abuse. Weight Watchers is my second favourite programme, if what I'm about to suggest doesn't appeal, but I knew that the only way I could shift the kind of weight I want to shift in time for summer would be low carb eating. I am trying to lose 60lb/27kg by August this year. That sounds like a lot... and it is! But I know I can do it. Trouble picturing 60lb? This fish weighed 60lb. F**k me that looks like a lot... I wish I hadn't Googled that! 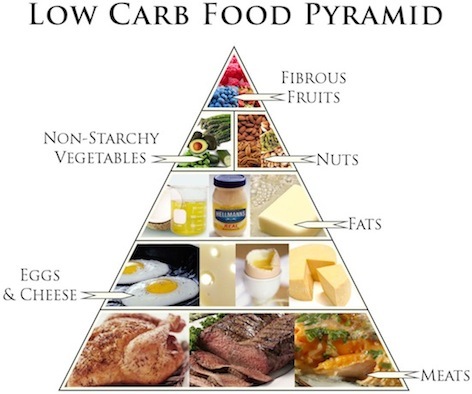 What is low carb eating? Just a note here - medical science is not my forte, so please don't take my word for fact. But I think I'm more or less right. So! The most famous example of a low carb diet is The Atkins, which has just undergone a bit of a re-branding. The original diet was invented by Dr Atkins, who inadvertently discovered that by putting his obese patients on a high protein, high fat, low carb diet, they could lose significant amounts of weight. Our bodies are programmed to store excess energy. All carbohydrates, even the good ones like wholemeal bread and brown rice, are energy that is very easy for your body to store if it isn't burned up. That's because carbohydrates = sugar. And how does your body store this energy? By converting it to fat. By eliminating carbs from your diet, you remove your body's source of simple sugar energy and force it to use the fat that it has already stored. It fascinates me that eating fat does not make you fat. Fats cannot be stored by your body in that way - the right fats provide vital nutrients for your health and well-being on their way through your body. For decades people have been eating "low fat" diets, or "reduced sugar" products that pump your body with artificial sweeteners, which guess what - are carbs. No wonder people are getting unhealthier and fatter. Scandinavian countries, being superior to us in most respects, have already begun reforming their official approaches to approved public diet advise. By eating a reduced calorie diet, your poor body is burning fat AND muscle to get its energy, leaving you tired, hungry and more likely to regain weight as soon as you stop restricting what you eat. On The Atkins Diet, you eat a restricted number of carbohydrates every day, which can be increased gradually over time once you have lost your goal weight and established exactly how much carbohydrate your body can tolerate in conjunction with your lifestyle to prevent weight gain. On the Atkins Diet, you count "net carbs". This is simply the total grams of carbohydrates minus the total grams of fibre in whatever you are eating. At the start of the diet, known as the 'Induction Phase' you must eat less that 15g of net carbs per day, and these should all come from vegetables. I hope I'm not making it sound complicated, because it really isn't! 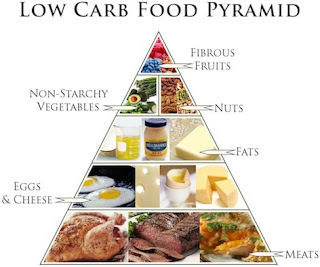 A lesser known and much friendlier way of eating low carb is by following The Idiot-Proof Diet. It was written by two completely normal and down to earth ladies who were sick of being fat. It's a bit of a mish mash of all their favourite diets, and it works amazingly well. Six years ago I lost three stone following their plan for just six months - I was so happy and active that I got carried away and went back to all of my bad habits. It didn't matter, because I was so active at work that I maintained the weight loss. Then I changed jobs. I went from walking two miles to work and back and running round all day to driving my commute and sitting in a chair for eight hours. Needless to say, the weight came back. And then some. There are also some great cookbooks out there to inspire you, if, like me, you lack creative capabilities in the kitchen. I bought loads in America, but you can find them all on Amazon too. My favourite at the moment in Karen Barnaby's 'Low Carb Gourmet'. I find breakfast the hardest. I can't whip up some scrambled eggs when I arrive at the office, nor do I want to tuck into a bit of cauliflower at 9am. My absolute favourite thing to eat at the moment? Mini chorizo sausages, by Chow Foods. Holy mother of god, these are delicious. I could sit and eat six bags of them. If you baulk at the idea of tucking in to a bag of these for your breakfast, sorry! I looove them. They will absolutely be in my February Favourites. I need a lot of motivation to keep me going on this diet. Even though I know it's for a great reason, I am essentially depriving myself of things that I previously enjoyed immensely. So I like to have visual aids to remind me how well it's going. Looking at Facebook photos helps. So did that picture of the giant fish. Jesus! That sent me running for the treadmill. One of my favourite things to do is count glass beads - I got this tip from the Weight Watchers magazine. You fill a dish with the same number of glass beads/buttons/whatever as the number of pounds you want to lose. Stack it on an empty dish. As you lose weight, move the glass beads down into the empty pot. Instant visual validation that you're doing well. Further motivation to keep losing weight - yesterday I filled five massive sacks and took them all to the charity shop - I've given away all my "fat clothes". Now I must remain naked until I fit into my "skinny clothes" again. I'm paying an obscene amount (£86 per month, to be precise) for membership to my local David Lloyd gym. I really want to try the classes out, particularly body conditioning and yoga. But I'm a) incredibly lazy and never seem to make it there and b) a bit "nervous" of joining a class by myself. I'm sure once I've done it it will be fine and I'll enjoy myself, but it's just taking that first step in the right direction. Must conquer this irrational avoidance. And that's really just about everything I can think of to tell you about my diet. It's been about 40 days now without so much of a whiff of a carb. No milk, no cereal, no bread, no potatoes, no pasta, no chocolate, no cake, no crisps, no biscuits, no alcohol, no Starbucks, no juice, no fruit... good thing that deprivation seems to empower me. I will update you every now and then with my progress! Is anyone else on a diet? How are you doing? That's really interesting, thank you Jordan! There are so many conflicting studies on whether it is detrimental to your health or not, I love watching those kind of shows and reading different articles. Since medical professionals can't agree whether it's good for you or not, let alone journalists, I'm sticking to what I know works for my body and makes me feel healthier. Removing carbs from my diet is helping me lose weight steadily, making me less tired, controlling my mood swings and keeping my skin clear. So I think it's safe to say my body responds well to it. Re: exercise, my idea of "exercise" is so low intensity and sporadic that it barely counts! Hi Ria, being on a low carb diet might sound wonderful but please make sure you get enough protein in your diet as they will help you not only to burn fat but help you build muscle. I have so often hear off people going low carb and often wondering why they are not building up enough strength, thus not losing any weight. I'm not a expert, I'm just a girl sitting here in my bedroom eating jelly babies lol but my husband who does body building so built himself to be quite beefy always say to moderate low carb diet with high protein. I'm basically repeating what Jordan has already said. If you can read up on as much as you can on low carb diet. Hi Ria, Good on you! I try to do sport everyday and eat healthy with weight watches aswell. I am a vegaterian so its harder to stay on the diet, but luckily there also enough recipes without meat and fish. Keep up the good work. It must be much harder for vegetarians, I always think that! I'm in awe of you doing sports every day, I wish I could engage that part of my brain. It's fun to think of Weight Watchers in other countries too, I bet it's just the same... but with better weather outside. Before my self-employment forced me to quit, I too was paying an extortionate amount of money for a luxurious gym pass - I was very shy and nervous about going to classes, especially as I'm not the "sportiest" of types, however after watching some of the "body attack" classes from the safety of the women's gym I just decided to go for it, completely solo. It was honestly one of the best thing's I've ever done! No one there batted an eyelid at me, not even the snotty faced twigs who gossiped at the back. It also meant that I was forced into doing an hour's hard graft and felt fantastic afterwards.